Living with Parkinson’s disease can be disruptive to daily life, and each patient can experience different types of symptoms to varying degrees. However, there are many Parkinson’s medications available that can vastly increase quality of life, sometimes in combination. The treatment options depend on what level of symptoms the patient is experiencing, other medications that the patient is taking (as well as other health factors), and the age of the patient. Here is a helpful breakdown of the different types of prescriptions used to treat Parkinson’s. The most effective medication for treating Parkinson’s is levodopa. Levodopa is converted by enzymes in the brain to produce dopamine, which helps neuron function in the brain that is responsible for movement. Prescribed levodopa often causes nausea and vomiting, but these side effects are prevented with the combination of carbidopa. The combination of carbidopa/levodopa is a well-known brand name medication called Sinemet®, available in both immediate-release and controlled-release form. A new extended-release carbidopa/levodopa medication providing up to eight hours of coverage, Rytary, was approved in 2015, as well as an infusion pump, called the Duopa Pump, that delivers levodopa-carbidopa directly to the small intestine. Dopamine antagonists are drugs that do not convert to dopamine but instead mimic the effect of dopamine on the brain. They can be taken alone or in combination with levodopa, and can be used to improve symptoms in early disease or as adjuncts to levodopa in patients whose response to levodopa is deteriorating and in those who are experiencing fluctuations in their response to levodopa. Dopamine antagonists such as pramipexole and ropinirole can be used alone or in combination with levodopa/carbidopa. Anticholinergics are a class of drugs that balance out the production of dopamine and acetylcholine, a neurotransmitter that regulates movement. A variety of medications with anticholinergic properties are available for the treatment of various medical conditions, including asthma, incontinence, gastrointestinal cramps, and muscular spasms. Anticholinergics can be helpful for tremor and may ease dystonia associated with wearing-off or peak-dose effect. However, they are not particularly effective for bradykinesia, rigidity, gait disturbance, or other features of advanced PD. Since cognitive side effects are common with anticholinergics, they are usually reserved for the treatment of tremor that is not adequately controlled with dopaminergic medications. Adverse effects may include blurred vision, dry mouth and urinary retention. MAO-B inhibitors block an enzyme in the brain that breaks down levodopa. They have been shown to delay the need for Sinemet when prescribed in the earliest stage of Parkinson’s, and have been approved for use in later stages of PD to boost the effects of Sinemet. COMT inhibitors help prolong the duration of action of a dose of levodopa by inhibiting the action of catechol-O-methyl transferase, an enzyme involved in degrading neurotransmitters. COMT inhibitors may be prescribed when an individual experiences “wearing off,” particularly when dopamine agonists are not tolerated. Individuals diagnosed with PD and other parkinsonism syndromes should seek the advice of doctors who specialize in treating these complex movement disorders, even when the illness is only suspected. Choices about medications made early in the course of Parkinson’s disease can have a lasting impact on the course of the illness. Read our blog for more on advanced treatments and new medications for PD. Movement disorder specialists have extensive experience in medications and approaches to managing the side effects of Sinemet and disease progression to maintain patients’ quality of life. Individuals with PD should seek a medication review at least annually to ensure they are taking advantage of the latest most effective treatments for managing symptoms. 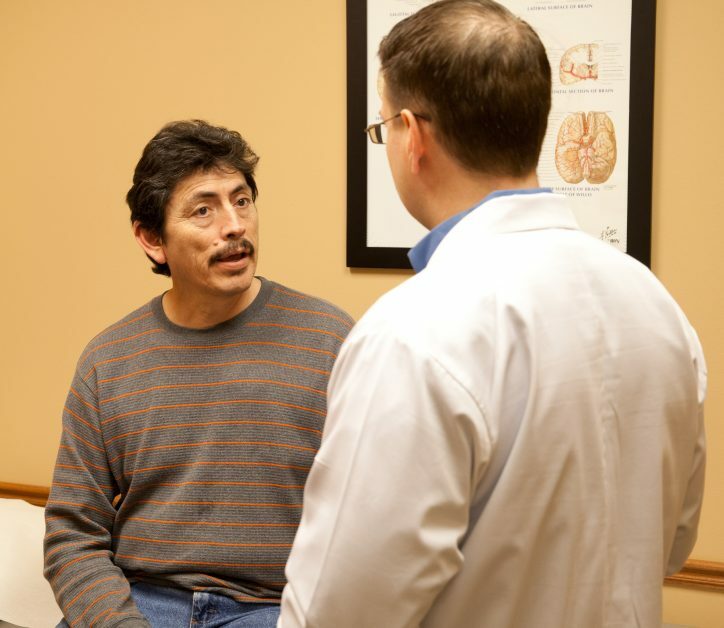 If you are seeking another opinion on managing your symptoms from Parkinson’s disease, dystonia, essential tremor or an age-related movement disorder, please contact Neurology Solutions or call 512-865-6310 to make an appointment.